Any time spent gaming should be memorable for all the right reasons. Yet, too often this can lead to a sore back and general stiffness. Thankfully, getting one of the best gaming chairs will give you a comfortable place to sit that makes it a lot easier to look after your body. Of course, we all look for different things in our gaming chairs. Some gamers want comfort but others are more interested in the looks or the flexibility. Therefore, it makes sense to look at a few of them to see which one is the best choice overall. 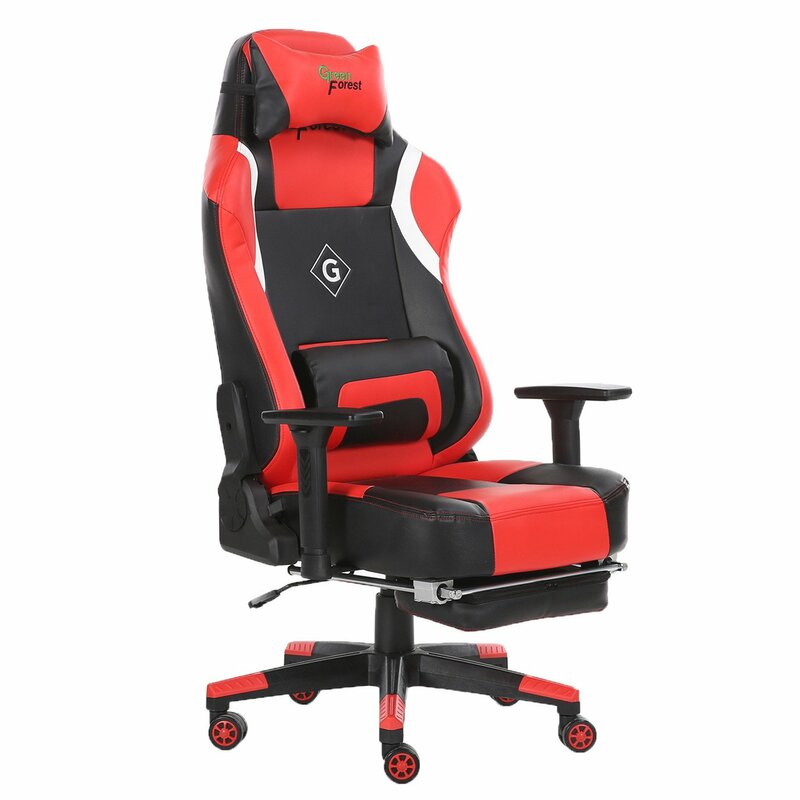 Does a good gaming chair need to be expensive? Are these chairs hard to assemble? How long do the best gaming chairs last for? Are there chairs for bigger gamers? Can I nap in a gaming chair? If you choose this chair then you get a striking model that has a couple of contrasting colors and appears to be tough enough to give you years of use. The design is smart and it is clear that a lot of effort has been put into producing something that is truly ergonomic for gamers. There are a few features in this chair that make it particularly versatile and extremely useful. Among them, we can see that it includes a lumbar support pillow for added back protection. The wider than normal seat means that it is also a good option for bigger gamers who are worried about their comfort. The swivel tilt mechanism gives you up to 12 degrees of tilt when needed. There is also a high back used here, which is good news for anyone who wants to get the maximum level of protection for their back and neck. As for the materials that are used, it has a highly breathable leather-style vinyl that feels good to touch even after a long gaming session. We have a full Clutch Gaming Chair review here! This is a visually attractive chair that looks solid enough to inspire a great deal of confidence. It is designed with bigger gamers in mind and gives lots of room to make you feel right at home in it. The quality of the fabric also gives is a great feel. A fun tilt option is well worth having to hand. The heavy base means that this chair is a bit heavier than some other models, which might not suit you if you plan to move it from room to room at times. 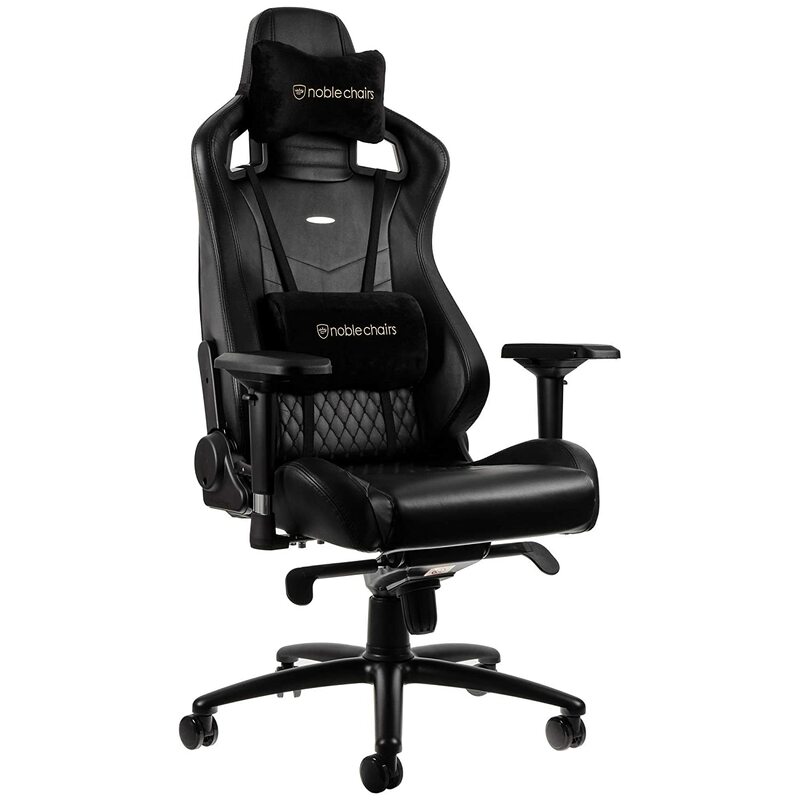 This is a reclinable and adjustable model that is one of the best gaming chairs around. It offers a good-quality option for settling down to some gaming time in a way that suits you perfectly. The style is that of a luxury office chair but with a hint of sporty, racing car seat appeal. The details of this product make it clear that this is a high-quality option capable of keeping you comfortable for hours on end. Among the specifications, we can see that it is designed to be highly durable, as strong materials have been used and it has been well put together. As well as being hard-wearing, it also lets you maximize your gaming fun. A cool rocking mechanism and the option of reclining it by up to 135 degrees means that once you get into this chair you won’t be in a hurry to get back out of it again. It supports weights of up to 265 pounds thanks to a sturdy steel frame. This is one of the very best gaming chairs for anyone who wants the luxury of being able to easily customize it to their needs. With adjustable arms and a reclining option, you can play games, go for a nap or just relax in it. Being able to customize it so easily means that you can try out many different approaches whenever you want to. It is a little bit harder to sit on than some of the other gaming chairs around. This might be fine for some people but others could find it difficult to get used to sitting on it for long periods of time. If you like a soft, extremely cushioned seat then this might not be the best choice for you, although it does soften over time. 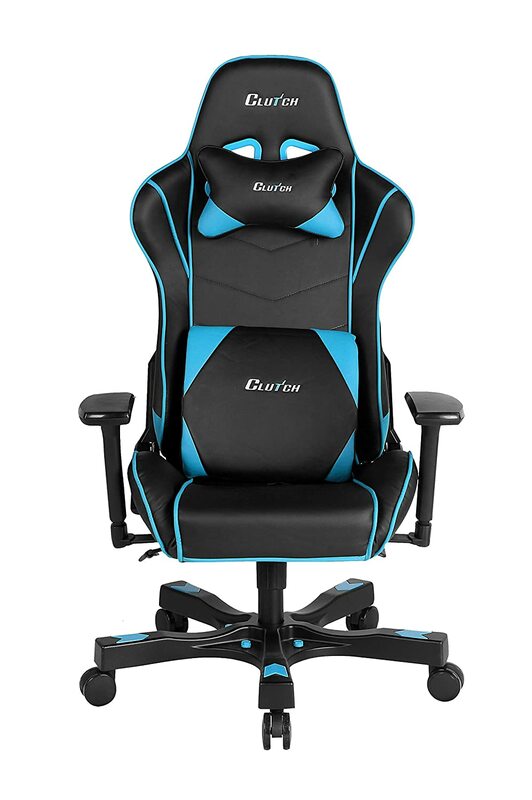 Sleek and ergonomic, this is a great choice if you want a gamer’s chair that performs as well as it looks. A bold combination of colors and a racing car seat design make this an exciting place to sit while you play. There is a clear sporty feel to it that adds to the fun of gaming. The headrest and lumbar support cushions provide a tremendous feeling of comfort and luxury. It is built on top of a solid aluminum frame too, so durability isn’t going to be a problem. The cover is made of breathable PU fabric that is comfortable to the touch and is also hard-wearing. With the help of 4D adjustable arms and a tilt mechanism, it takes just a few seconds to get into the right position for a satisfying and pain-free gaming session. A stable 5-point base and a high backrest mean that you should feel completely comfortable sitting in this chair. The backrest is also adjustable, meaning that you should take some time to get it just right before using it for long gaming sessions. This is a great chair for just sinking in and feel right at home in. By spending just a little bit of time in setting it up right you get a great seat that lets you simply concentrate on your gaming without any worries. It feels nice to the touch and has that sensation of quality that makes you feel that it will give you many hours of pleasure. This is a rather more expensive option than many other gaming chairs. To be fair, this shines through in the quality of the construction but not everyone will be happy paying out extra for this additional quality. If you don’t have a big budget then this might feel just a little bit too luxurious for your needs. From the reinforced 5-star base upwards, this is a strong chair that is definitely built to last. It looks attractive and the contoured shape of the backrest immediately invites you to give it a try. The racing inspired design is easy on the eye and the classic look means that it can be used in a home office or for other uses as well as gaming. 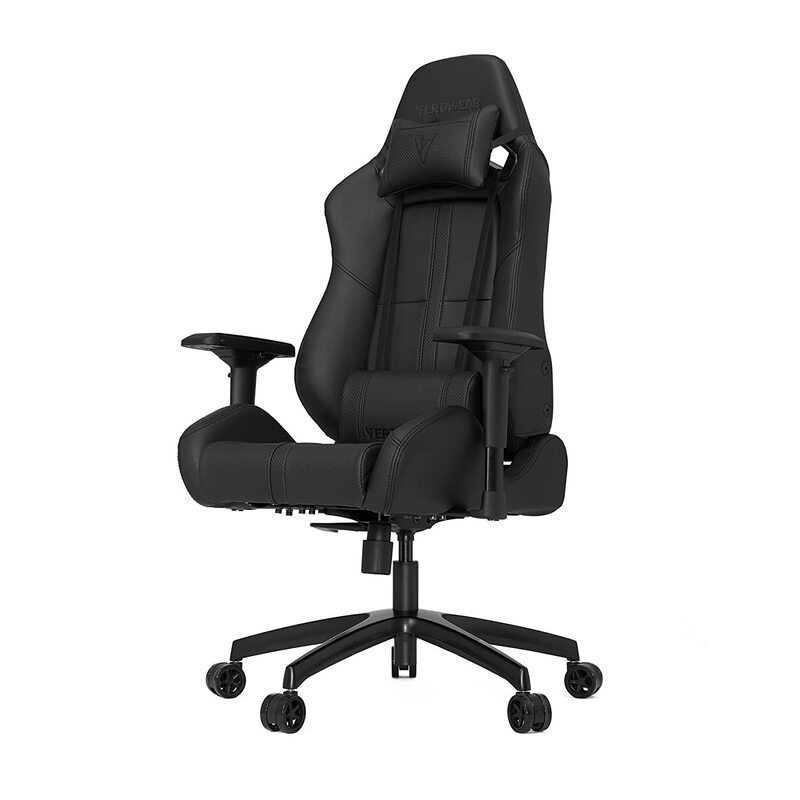 The heavy-duty yet luxurious look of this Vertagear gaming chair makes it instantly appealing. When we delve a little further we can see that it also has a range of features that make it a joy to use for gamings. All of the features work as they should, with the castors offering a smooth gliding action and the adjustable armrest letting you find the perfect position with little or no fuss. With the tilting feature you get adjustable resistance and also a locking system for added security. We have a full Vertagear SL5000 Gaming Chair Review Here! This is one of the best gaming chairs when it comes to ease of assembly. Once it is delivered, you will have it ready to use in a matter of minutes, even if you aren’t an expert in assembling pieces of furniture. This might not sound like a big deal but some chairs are incredibly frustrating to put together. Some of the parts of this chair seem to be somewhat fragile. Given the price of this product, you would expect every single part of it to be of the same high quality. Yet, it appears that more time and effort has been spent on some aspect of it than on others. This eye-catching gaming chair gives you a soft, comfortable place to spend hours without it leading to back pain or other problems. You get a good degree of flexibility as well as a chair that is sure to attract some positive comments from visitors. This is a deeply padded chair that uses high-quality leather on top of a metal frame. All of this leads to a very comfortable and stable place to sit for as long as you want. You can sit here on all-day gaming sessions without any fear of it letting you down. As is typical with this kind of gaming accessory, there are numerous ways of adjusting the chair to meet your needs. This ranges from the 4D armrest movement to the retractable footrest and reclining action of up to 155 degrees. For the fairly modest price tag, this is a quality chair that is a very good option for anyone on a reasonably tight budget. This is a chair that looks as good as it feels. The thick padding is especially enticing, as it gives the impression of an extremely comfortable place to be able to enjoy some gaming time. For the price, this is on one of the best value gaming chairs on the market right now. Assembly of this chair can be kind of awkward for anyone who isn’t experienced in this kind of task. Having said that, this is far from being the only gaming chair that has this issue. However, it is definitely something that seems as though it should be completely avoidable with a little more care in the factory. There are a number of features that you should look out for in order to make a smart choice with your next gaming chair. The best gaming chairs tend to offer a number of ways of adjusting them to your own needs. These typically include adjustable armrests, a reclining option, and height adjustment control. More expensive models will often have a greater array of features with them. This is an important point because no chair can be expected to be absolutely perfect for every gamer straight from the factory. Gamers come in all shapes and sizes, so they all need to be able to customize the experience. Having a good range of adjustability options also means that the chair can be used by different people even if they are of very different sizes. It also means that it will be suitable for a younger gamer who is growing and whose needs in a couple of years’ time might be very different from just now. Many gamers buy a new chair with the idea of spending a huge amount of time sitting in it. This is fantastic if it is comfortable but if the seat is as hard as a rock or the backrest is unforgiving then you won’t be so happy. A high level of padding using good materials is essential. This typically means some deep padding and then thick leather or faux leather on top of it. Of course, too much padding can be almost as bad as too little, as this can make it difficult to find the perfect seating posture. The top gaming chairs will often have contoured padding. This is designed to let your body fit the chair perfectly and without any effort. Finally, it is worth bearing in mind that padded chairs can seem too hard at first but will generally soften with use. The quality of the base goes a long way towards ensuring that you get a stable chair that lasts a long time. Look for a solid metal base that has a 5-star design for added stability. If it has a poor base made out of cheap materials then expect it to break or bend before too long. Good-quality castors will also give you the option of swiveling and moving around effortlessly while seated. This is especially useful if you have a few computers at home or if you tend to invite people over to your gaming sessions and like to chat while playing. There are few things worse for your health than spending hour after hour in a chair that is the wrong size for you. Things could get even worse if it doesn’t support your weight and eventually collapses under you. Most chairs on the market will tell you their maximum weight capacity. This varies fairly widely from one model to another. Some will also let you know the maximum height of gamer that it is suitable for. There are plenty of budget gaming chairs around just now. As you would imagine, paying a bit more will give you a better product. The main difference will typically be in the quality of the materials used. This might not be noticeable at first sight but it will almost certainly become evident after time and a lot of use. The best idea is to set a budget that is realistic and that you can stick to. It is then a question of looking for the best deal in this price range. Almost all gaming chairs require a degree of assembly once they are delivered. This makes them easier to deliver and in a lot of cases it leads to a simple task to put it all together. It helps when clear instructions are provided, which is almost always the case. However, it is clear that some chairs are harder to put together than others. This can be due to the pieces not matching up perfectly or even some pieces not being included. It is a good idea to check out the review comments in this respect for each model, as frustrated owners will often make this a key point in their comments. There are a number of factors that will affect the length of time that you can expect your chair to last for. Clearly, if you use it for 10 hours a day then it is likely to last you for less time than if you use it for just a few hours each week. In the same way, some people move a lot while gaming and others tend to stay still for long periods. Some models come with a limited warranty that will give you peace of mind. In other cases, it comes down to seeing the quality of the materials used and what people say about its durability in reviews. Once you make your purchase, be sure to follow the care instructions and look after it as well as possible. The variety of chairs for gamers means that not everyone will want to use the same model. The difference is particularly noticeable when it comes to gamers of different sizes. Using the wrong size of chair can make you feel really uncomfortable and may even damage your back in the long-term. Chairs that have been designed for taller, heavier games will usually have wider seats and a more solid base. Of course, a small gamer may discover that one of these large chairs is too big for them to use comfortably. It can be extremely satisfying to take a nap after a long gaming session. Some of the models of gaming chair allow you to do this in a very comfortable, relaxing way. The chairs that offer a reclining option are great in this respect. Check the product details to see how far back each one can go as this can vary significantly, from around 135 degrees up to 180 degrees. Finding the best gaming chair for your needs gives you a far greater chance of enjoying your hobby without causing any damage to your body. The right materials, construction, and features will make life a lot easier for you. Having taken all of the details into account, our choice as the best model on the market is the DXRacer Tank Series DOH/TS29/NE Big and Tall Chair. This product looks fantastic and also offers all of the features that you need to stay comfortable at all times. It is also important to note that it is built using quality materials that should stand up to heavy usage over a number of years. It is a reasonably expensive unit but the quality that it offers means that it provides a good level of value for money. 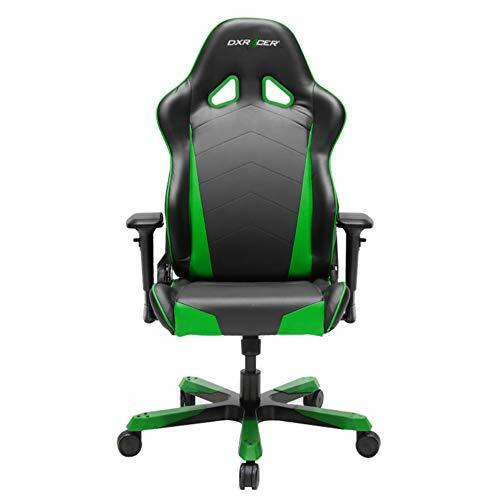 If you are interested in a gaming chair for a lower budget then the GreenForest Gaming Chair is a smart choice. This is a lot cheaper than our top pick but it offers many of the same features and an acceptable level of quality.